Did you know it’s possible to have fun and learn at the same time? While it’s great for kids to play with toys, their young minds are at the prime stage for taking in information and learning new skills. The solution? Toys that allow kids to learn while they play. This year when you shop for holiday and birthday gifts, opt for something with educational value. Need help finding ideas? 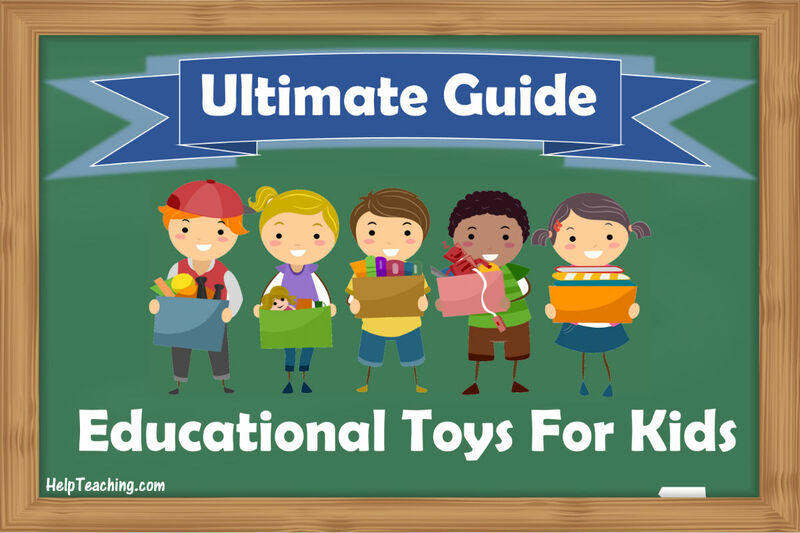 We’ve rounded up some of the top educational gifts for kids of all ages. Even though babies won’t remember whether you bought them a gift for Christmas or their birthday, sometimes you still want to get them something. Instead of adding another stuffed animal to their collection, try one of these options. Baby’s First Blocks: Nothing beats a classic shape sorting toy for babies and toddlers. Baby’s First Blocks from Fisher-Price features a handy tub to collect the shapes and a handle for carrying it. Babies and toddlers will learn to grab, manipulate, and match the shapes. Skip Hop Activity Mirror: Mirrors are great toys for babies. They allow them to explore the world around them and also begin to recognize their own face. This mirror from Skip Hop is just one of many baby mirrors that can be attached to the seat of a car or the bar of a stroller for babies to enjoy. 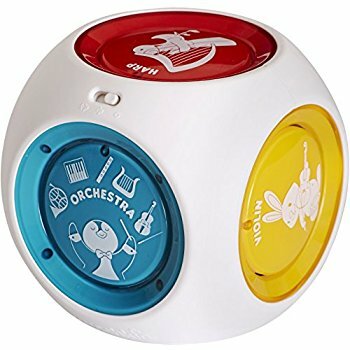 Munchkin Mozart Magic Cube: Babies love music and this magic cube combines music with lessons in cause and effect and tempo to create a fun learning experience for babies. They can press different parts of the cube to add instruments to the orchestra and see lights flash w ith the tempo of the music. Go Car: This car comes with a handle to make it easy for babies to hold on to it and control the way it moves. It also glides smoothly on different surfaces, helping babies begin to learn about the concept of movement. What’s Inside Toy Box? : With the What’s Inside Toy Box, babies begin to learn that objects have names and also build motor skills as they reach in and pull out objects or put objects back in. Additionally, this toy can help teach object permanence. All About Me Personalized Photo Book: Babies can learn the names and faces of loved ones, pets, and other special people or places in their lives with this photo book. Parents can insert photographs in protected compartments so babies can flip through and look at them. 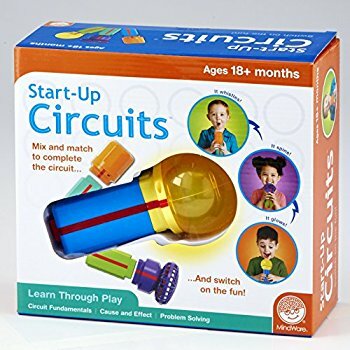 Start Up Circuits: Toddlers who enjoy playing with switches will enjoy these toys that help them begin to understand how circuits work. Simply flip the switch to make each object work. Wooden Building Blocks: Blocks are a favorite for toddlers because they help them build motor skills and begin to understand geometrical concepts. 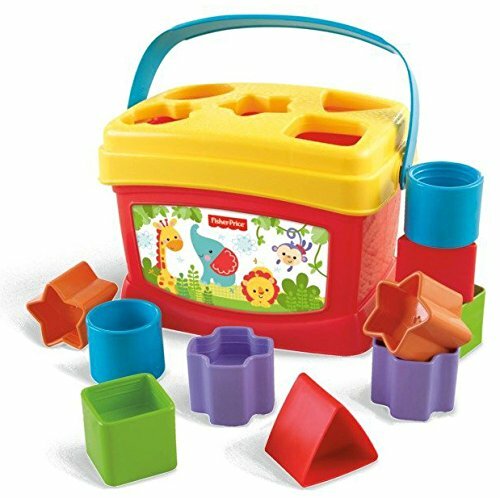 This set from Pidoko Kids features 50 colorful blocks in different shapes and comes with a container for carrying them all. Personalized Name Puzzle: One of the first things a toddler learns how to spell is his/her name. Help develop that skill and help your toddler start learning how to complete puzzles with a personalized name puzzle. 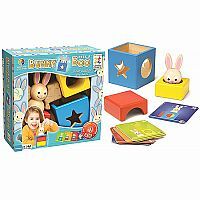 Color Discovery Boxes: Color Discovery Boxes help toddlers learn their colors and begin to categorize objects. Each box contains multiple objects to represent the color. Mix the objects up and have toddlers sort them and put them back where they belong. Learn the Alphabet Dough Mats: You can print out and laminate your own dough mats or you can buy these handy mats which feature uppercase and lowercase letters. These help kids learn letters and build fine motor skills. Size and Sequence Farm Puzzles: Size and Sequence Farm Puzzles have toddlers put the puzzle pieces in order by size. This set of puzzles helps them learn how to organize objects from smallest to largest. Dress Up Career Set: Toddlers can learn a lot from dressing up, especially when they dress up to represent different careers. With this set, your toddler can pretend to be someone else nearly every day of the week. Seek A Boo: Seek A Boo is a fun game designed to get toddlers and preschoolers moving and help them learn how to categorize objects. Basically, it works like a game of “I Spy” where kids must find a circle that meets a particular description. Adults and kids can take turns coming up with questions. 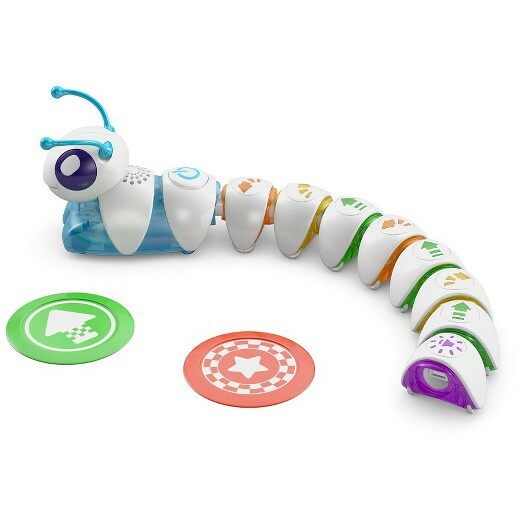 Think & Learn Code-a-pillar: Kids are never too young to learn some of the basic principles of coding and the Code-a-pillar helps them do just that. Kids can build the Code-a-pillar to make it move in different ways, helping them learn how to code at an early age. Balancing Stacker: Preschoolers can learn about patterns and balance with the Balancing Stacker. This toy comes with different cards for kids to follow as they place the rings on the board. It also builds fine motor skills and color recognition skills as they must manipulate the rings and place them carefully on board based on the colors on the cards. Bear Counters: Bear Counters and counting cubes can be used by preschoolers in a variety of ways. 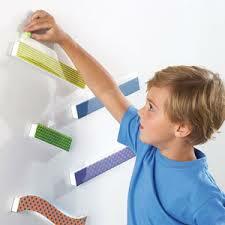 Not only are they good for counting practice, but they can also be used for creating patterns and measuring. Think & Learn Measure With Me! Froggy: The Measure With Me! Froggy encourages kids to measure things around the house. It helps kids learn the concepts of long and short and also has fun songs to help kids learn to count by 5s and 10s. 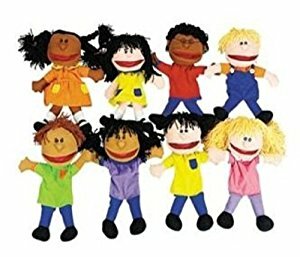 Fun Express Happy Kids Hand Puppets: This adorable set of hand puppets features kids from different ethnic backgrounds. It’s great to include with a puppet theater and to use to act out social stories to help get preschoolers thinking about their actions and emotions. Toss Across: If you’re looking for a fun game to get kids moving, try Toss Across, a game that helps kids practice their throwing skills and learn about patterns while playing a game of tic tac toe. Periodic Table Blocks: Make block play a little more educational by having kids learn the elements of the periodic table at the same time. These square blocks are great for building and also feature the names, symbols, and atomic numbers of various elements. Rainbow Mosaic Pattern Puzzle: Kids can build fine motor skills and create patterns when they play with the Rainbow Mosaic Pattern Puzzle, an activity that features connecting tiles that kids snap together to create a mosaic on the floor. Teaching Talking Cash Register: This cash register is a favorite of kids because it offers many functions. 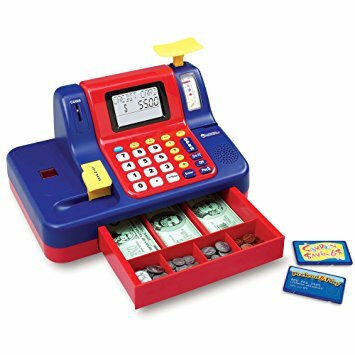 Kids can play store or open a real store and the cash register will help them add up totals and calculate change. It also features a fun scanner. Melissa and Doug Magnetic Human Body: Kids can learn the different parts of the human body by taking them on and off the wooden form. It’s a great, non-gory way for kids to begin to explore what makes up the body. Snap Circuits: This kit helps kids learn about the basics of electricity and other STEM principles as they put together circuits. Magformers: Magformers feature fun tiles that connect to one another. Kids can use them to build unique structures. Magnetic Science: Magnetic Science contains 38 pieces to help kids explore magnets and their various uses. Geosafari Talking Microscope: With this talking microscope, kids can learn about the world around them and the samples they are viewing. They can also learn how to properly use a microscope. Precision School Balance: With a balance, kids can practice weighing items and comparing different weights. For example, is a carrot heavier than four quarters? Dive into Shapes: Using a series of rods and balls, kids can build their understanding of geometry as they try to recreate the shapes on the cards. Tumble Trax: Tumble Trax is a magnetic marble run. Kids can arrange the pieces in a variety of ways to create crazy and challenging marble runs of their own. Sum Swamp: Sum Swamp is a fun game that helps kids build their addition and subtraction skills. Electric Plane Launcher: With the help of a grown-up, kids can put together the electric plane launcher, and then make a variety of paper planes and see how far they fly. Beaker Creatures: Learning Resources has created a fun science toy where kids can conduct experiments to reveal hidden creatures. Kids simply pop a reactor pod into the chamber, complete the steps, and discover a surprise. They learn about the scientific method and following directions at the same time. 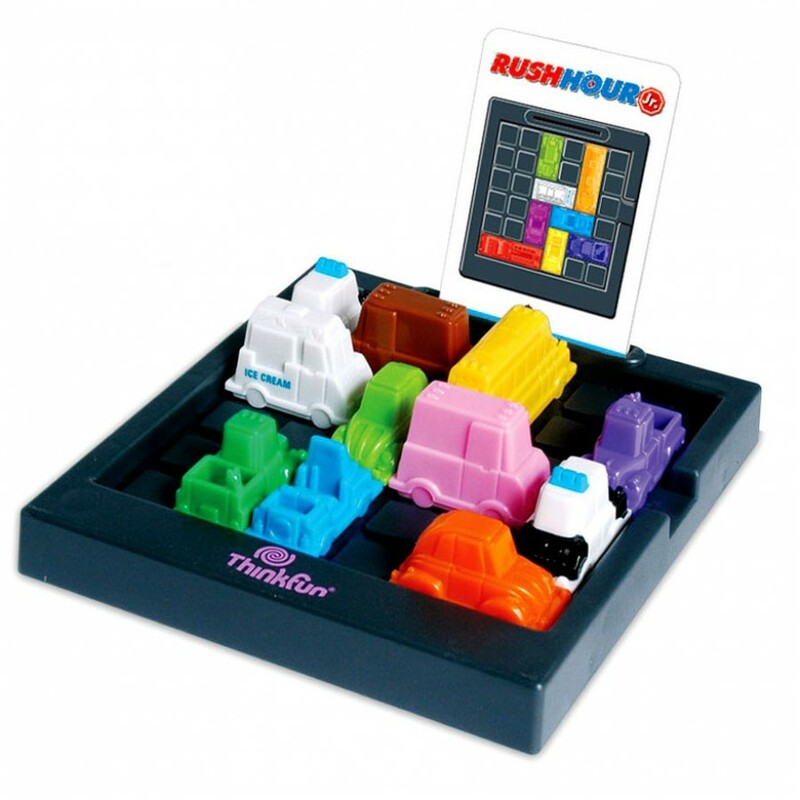 Rush Hour Logic Game: The Rush Hour Logic Game has become a classic game for helping kids build logic and problem-solving skills as they maneuver the cars in the parking lot. Women of NASA Lego Set: Celebrate the women of NASA with this fun Lego set which features mini figures and building kits. It’s great for girls and boys. Adopt an Animal: Start teaching your child about giving back and becoming more aware of the world by adopting an animal. The kit comes with a certificate and a stuffed animal. Kiwi Crate offers maker kits for kids up to age 16. Try Doodle or Tinker Crate for ages 9-16 and Kiwi for ages 5-8. Sign up for a monthly subscription box. Each box comes with fun STEM and STEAM activities for kids. Tin Can Robot: Take an ordinary tin can and turn it into something cool with the Tin Can Robot kit. Using this kit, kids can build their own robot. Star Wars Death Star Electronic Lab: Star Wars fans will love the challenge of the Death star Electronic Lab which has them connect circuits to help bring the Death Star to life. 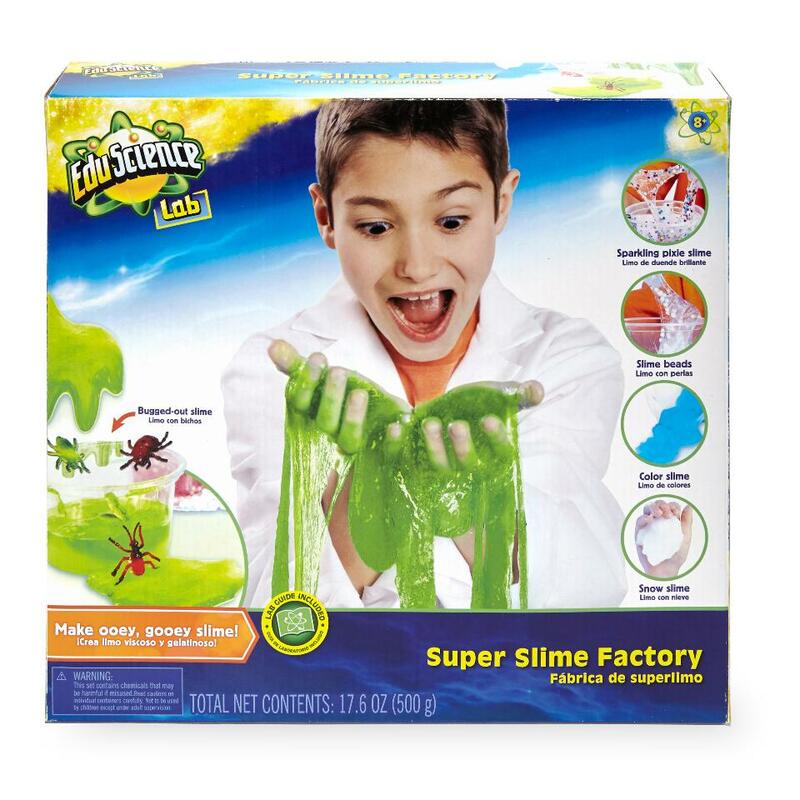 Super Slime Factory: Slime is all the rage these days and the Super Slime Factory gives kids the chance to make their own slime while learning a bit about the science that goes into the process. Qwirkle: Qwirkle is a fun game with a dominoes-like feel. Kids must match the shapes and colors, but they also have to use a bit of strategy to win the game. Keva Contraptions: With Keva, kids can learn about engineering and geometry. This set allows kids to build unique contraptions and also comes with two balls. Perhaps kids will use them to make an epic marble run. Create a Maze: With the Create-a-Maze set, kids are tasked with re-creating the maze on a card and then trying to get a ball through the maze. Klutz LEGO Chain Reactions Craft Kit: This book and LEGO set helps kids learn how to build simple machines and put them to use, introducing them to the laws of physics at the same time. For preschoolers through upper elementary school students, you can also put together a craft kit, full of supplies, such as googly eyes, stickers, craft sticks, and glitter glue, to make a variety of crafts and to encourage kids to use their imaginations. 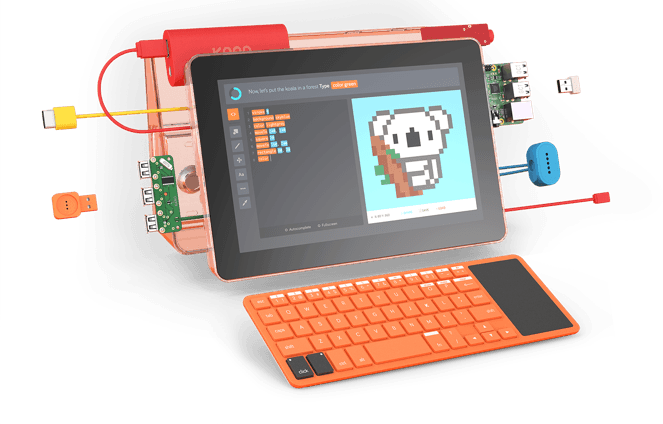 Kano Computer: Pre-teens who enjoy coding and working with electronics, but are not quite ready to work on a full-fledged computer will appreciate Kano Computer, which allows them to build their own mini computer. Perfume Maker: A lot of science goes into the creation of perfume. This set allows pre-teens to make their own scents while learning at the same time. Spa Soaps Kit: Let pre-teens make their own spa soaps, and then use them to host a spa party for their friends. Better yet, they can package their soaps and give them as gifts to others. Boxed Book Sets : If you know a pre-teen loves to read or has a favorite series, consider purchasing a boxed set. The Giver trilogy by Lois Lowry is a great set to consider. Eco-Friendly Bean Bag: Instead of a normal bean bag, opt for an eco-friendly bean bag. The gift will teach pre-teens about being more environmentally conscious. 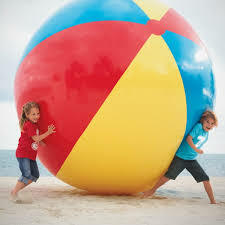 Giant Inflatable Ball: Encourage pre-teens to get outside and be active by purchasing a giant inflatable ball. They can make up their own fun games to go with the ball too. Build Your Own Pinball: Kids and teens can learn about engineering by building their own pinball game with this fun set. Displates: Give teens a unique gift that teaches them to value creativity and different art forms. Displates come in different styles and relate to interests such as popular movies and TV shows or musical instruments. Quadcopter: What’s more fun than a drone? A drone with a camera. Teens can make their own videos and take pictures as they fly their drones. Marvel Puzzle: Have a superhero fan? Give them a superhero puzzle so they can enjoy some of their favorite skills and they put their puzzlesolving skills to the test. 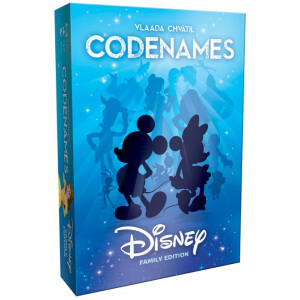 Codenames: Disney: Codenames is a fun word association game. Purchase the Disney version or another themed-version and play it with your teen. Die Cast Spirograph: Spirograph may seem like a kids’ toy, but this version of the classic drawing kit is super sleek. Teens may find creating their own spiral shapes relaxing. Games: World of Puzzles: Purchase a subscription to a magazine such as Games: World of Puzzles. This fun magazine includes many different puzzles for teens and adults to solve. Game of Phones: Teens are always on their phones. Get them to interact with one another with this fun game which has them use their phones to send messages and complete challenges. My Cinema Lightbox: A lightbox is a fun way to get teens to write. They can come up with creative messages or even practice spelling vocabulary words. In addition to the gifts listed above, consider purchasing apps and other digital gifts for teens or giving them a gift card to purchase music and apps for their phones or tablets. Do you know of any must-have educational gifts for kids or teens? If so, we’d love to hear your ideas. Share them in the comments!